If all the arguments are integers, least finds the smallest or minimum number. and, If we used strings as the arguments, this function finds the minimum or smallest string. 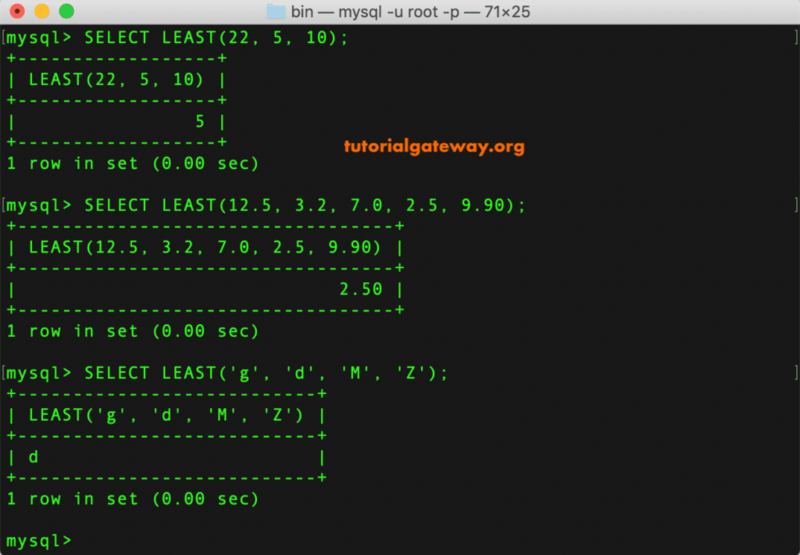 In this article we will show you, How to find the smallest among given values in MySQL with example. 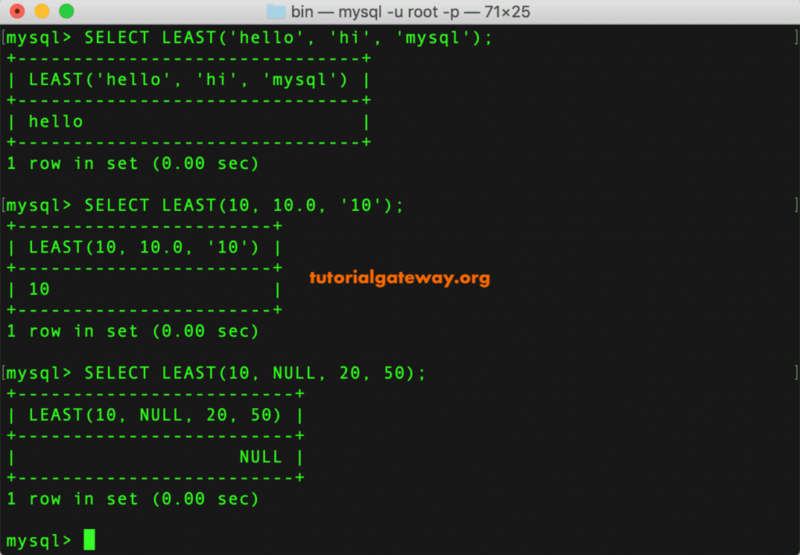 The following query will show multiple ways to use this MySQL Least function. In the First statement, We used integers as arguments. The second statement finds the smallest decimal number. Next, it finds the smallest character in g, d, M and Z. Here, we used the combinations of integer, string and decimal inside this Least function. Next, we used NULL as an argument. 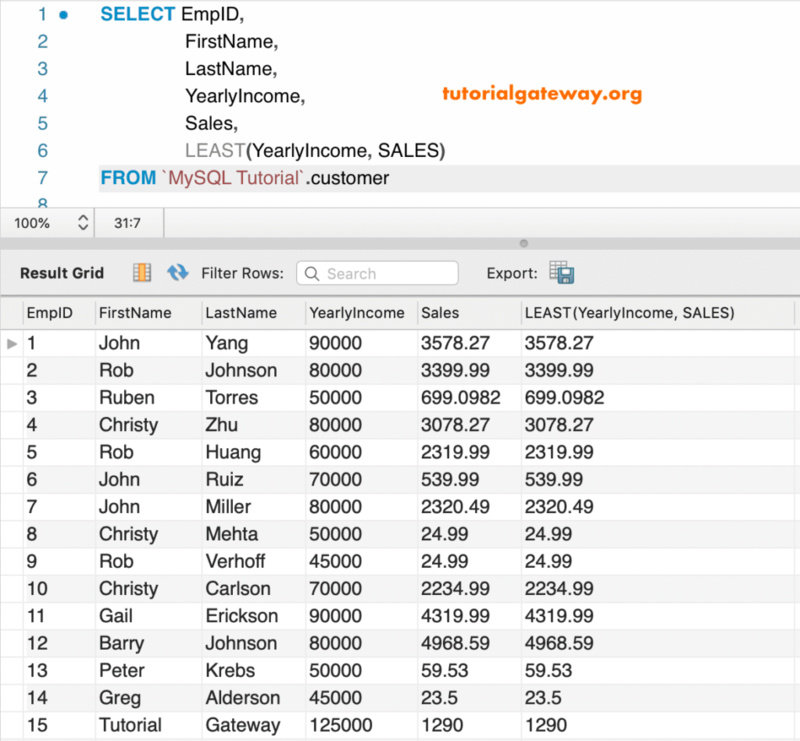 In MySQL, you can use this function on column data. These example shows you, how to use this function on a table. In general, we use this Least function to find the smallest among multiple columns. 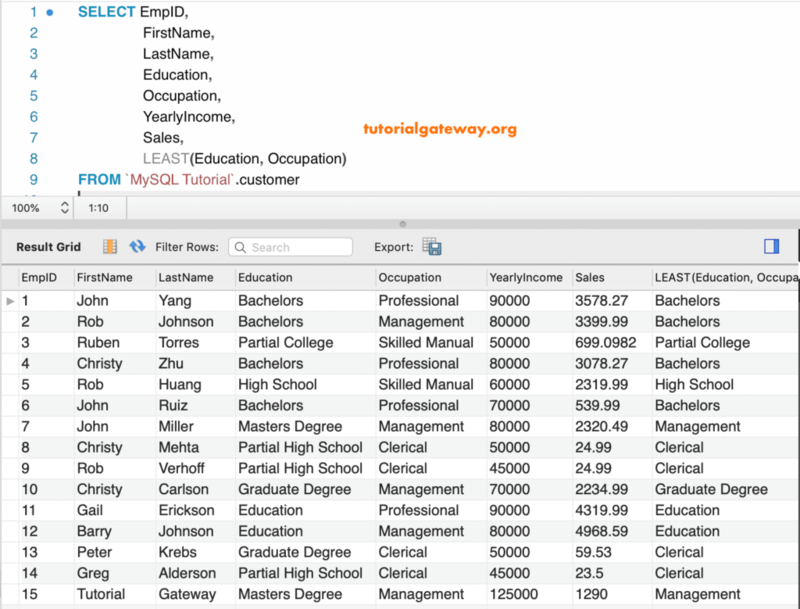 Below query shows the smallest values among the Yearly Income column and Sales column for each employee Id. Above Query was displayed Sales values as output because those are the smallest among two. This time we are comparing or finding the smallest among the Education and Occupation column values for each and every Employee ID.